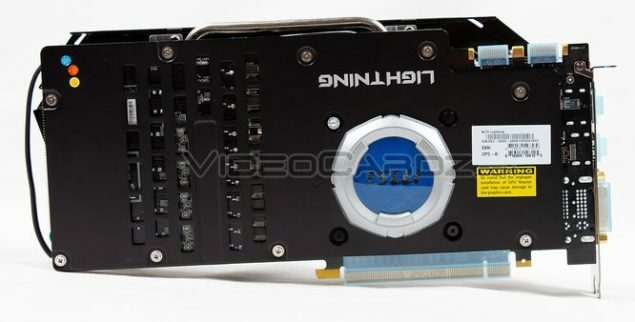 Last week, PCEVA revealed pictures of MSI’s upcoming GeForce GTX 770 Lightning graphics card. They didn’t revealed any more details since they are under NDA till embargo date (31st May 2013). However, a few hours ago, someone at PCEVA published a full review of the card along with SLI performance but the article was taken off after a while. 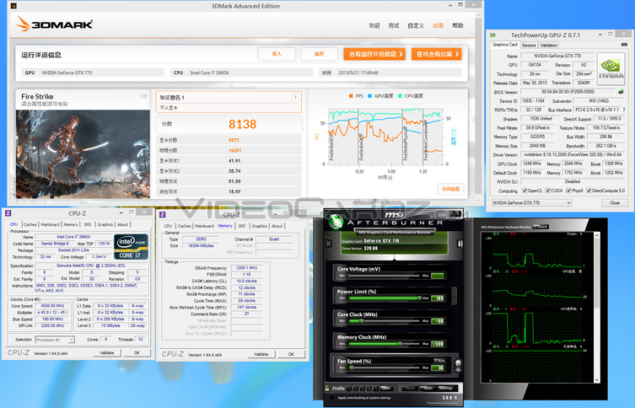 Thanks to VIdeocardz, who were quick enough to gather the key details and performance no’s, we know now how well the GeForce GTX 770 would perform when overclocked and while SLI’d. 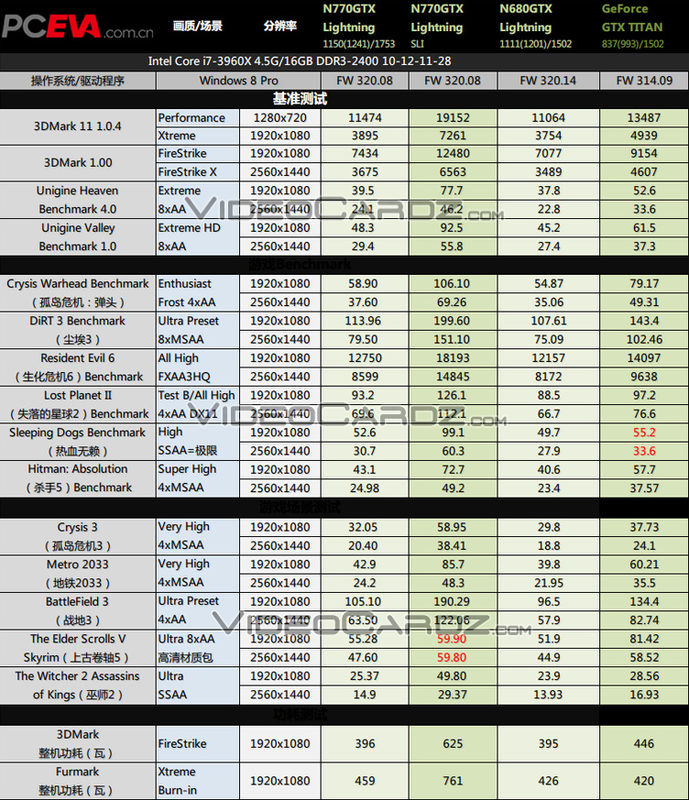 The GTX 770 official performance numbers were also leaked yesterday which can be seen here. The GeForce GTX 770 Lightning from MSI comes with a non-reference PCB that uses the GK104-425-A2 cooler that features 1536 Cuda cores, 128 TMUs and 32 ROPs along with a 2GB GDDR5 memory that operates along 256-bit interface. From previous reports, we know that the reference models would be clocked at 1046 MHz core and 1085 MHz boost while the memory would be effectively clocked at 7 GHz which would give a good performance boost over the GeForce GTX 680. However, the MSI GeForce GTX 770 Lightning being a custom model would make use of a factory overclock out-of-box. Chances are that the base clock would be configured over 1100 MHz. 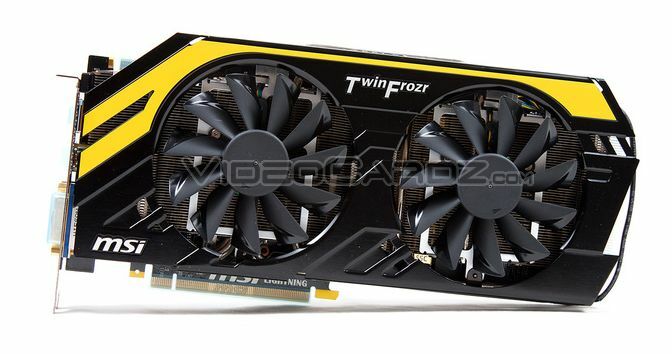 Additionally, the GeForce GTX 770 lightning would make use of the flagship Twin Frozr IV cooling from MSI that uses two large 10cm PWM fans with Propeller Blade Technology that cool the advanced cooling body of the Twin Frozr IV. The cooler is made up of high density fin grid array that provides heat dissipating area that is fed by heat-pipes featuring MSI’s SuperPipe technology. It also comes with dust removal technology which makes the fan run in reverse for 30 seconds after booting to remove dust from the heat sinks. Furthermore, the GPU shipped with MSI’s GPU Reactor module that adds more power to the VRM increasing its overclocking potential and reducing static noise. The GPU comes with 4-Way SLI support and is powered by dual 8-Pin connectors compared to 8-Pin 6-Pin on the reference models. Display outputs include Dual DVI, HDMI and a display port. The reference GeForce GTX 770 would cost $399-$449 at launch so we can expect a premium price point for this model. 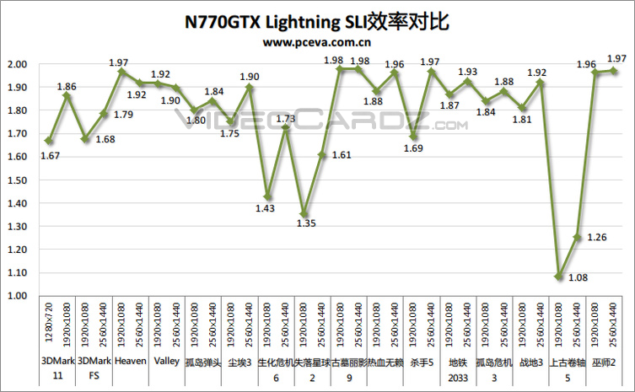 The GeForce GTX 770 Lightning was compared to GeForce GTX 680 Lightning and you can also note how well two of these cards perform against the $1000 GeForce GTX Titan. Now if it only was not for the microstutter should the GTX 770 SLI have become a better and much cheaper solution for gamers. You can note from the SLI scaling chart that the scaling is pretty well with the GTX 770, only falls down in 2-4 titles which is pretty good. We cater to your constant need to remain up to date on today’s technology. Like us, tweet to us or +1 us, to keep up with our round the clock updates, reviews, guides and more.